Cheaper hire available from 2pm (September-March). 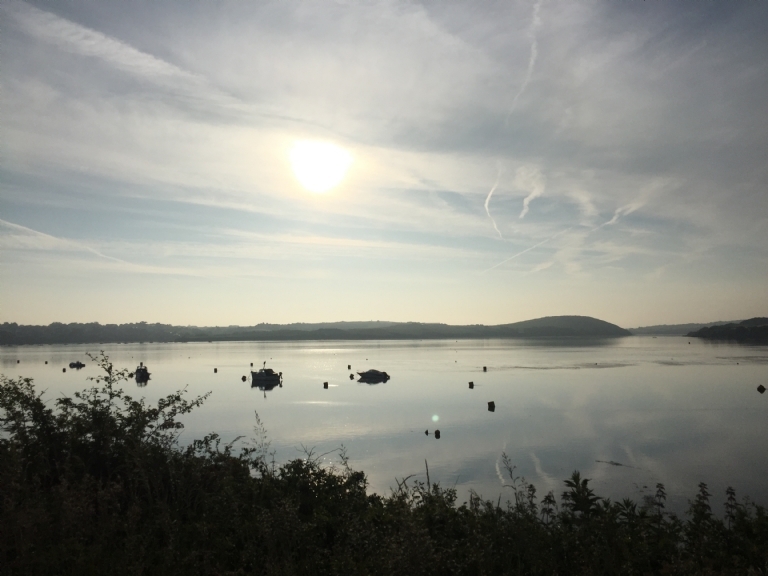 CHECK OUT THE WEATHER HERE NOW Click here to view the CAMEL TRAIL LIVE WEBCAM feed. 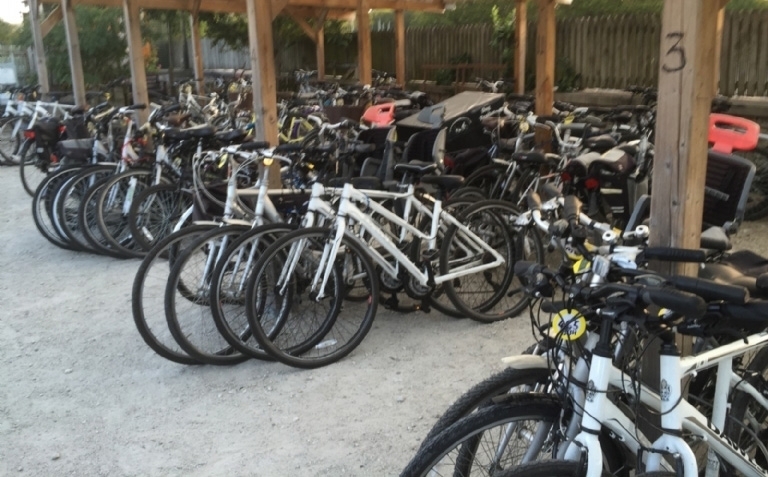 With over 400 bikes and 20 staff we have a bike for everyone. We have been operating for over 30 years and spend a lot of time each year trying to source the most comfortable seats, the best and safest children's trailers, and bikes, as well as investing in equipment to make the trail accessible to all abilities. 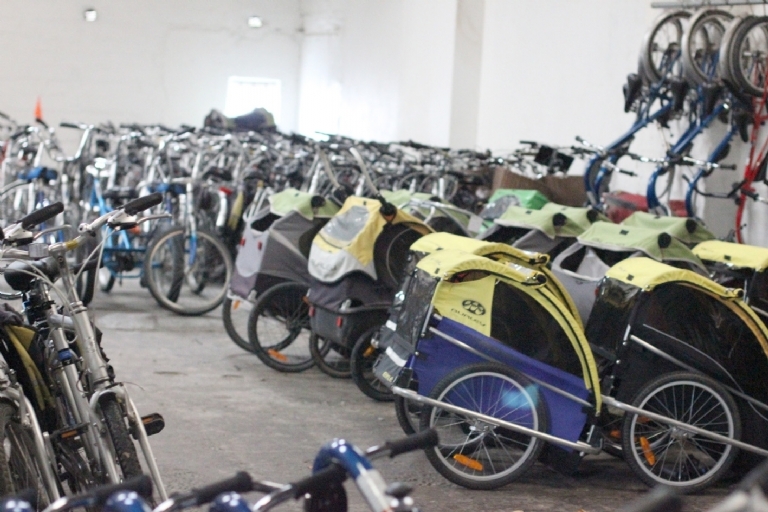 Our team are happy to advise you regarding the most suitable bike with options for children of all ages and dogs! All groups are given a lock, puncture repair kit and any help or advice they need. Call us on 01208 813050 to book your bike hire now! We get very busy in the school holidays so to avoid disappointment we will reserve your bikes for you at no extra cost. With limited numbers of child trailers, trailer bikes, tandems, dog trailers and other specialised bikes we recommend booking or giving us a call to ensure these will be available even out of season as we can have busy days. We will however do our best to accommodate you whatever time of year, booking or no booking. To book your bike hire, simply call our friendly team on 01208 813050. 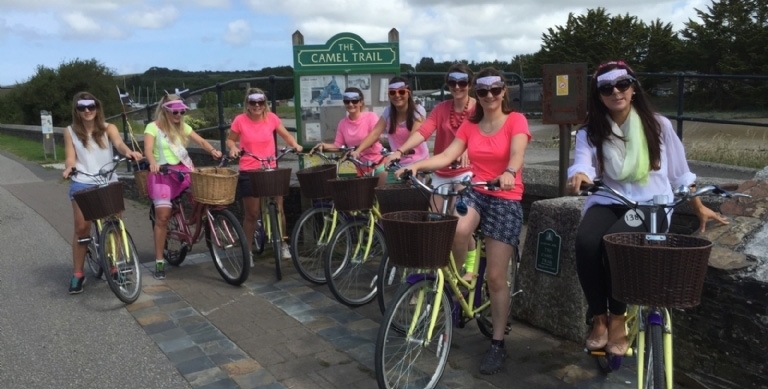 Groups are welcome at Bridge Bike Hire and the Camel Trail is a fantastic place to enjoy as a large group, especially for schools, scout groups, hen parties, stag do's and corporate events. We are always happy to accommodate you no matter how large your group. 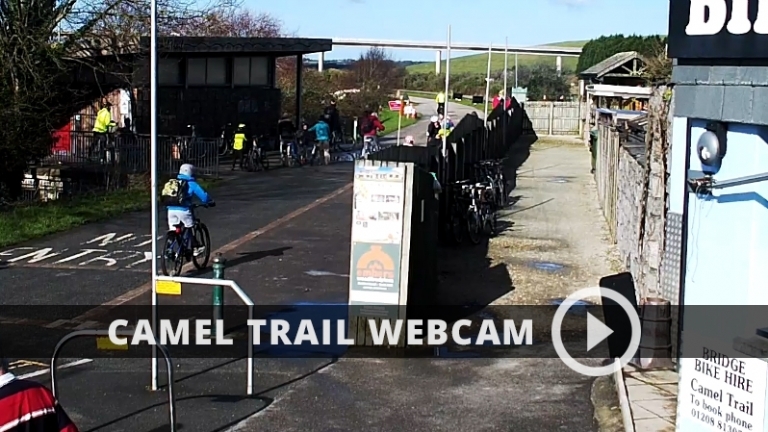 Click here to see the Camel Trail live thanks to our new real time web cam. Plus all the latest news and beautiful photographs from the trail on our News pages. At Bridge Bike Hire we don't like to leave anyone out and that includes the dog. 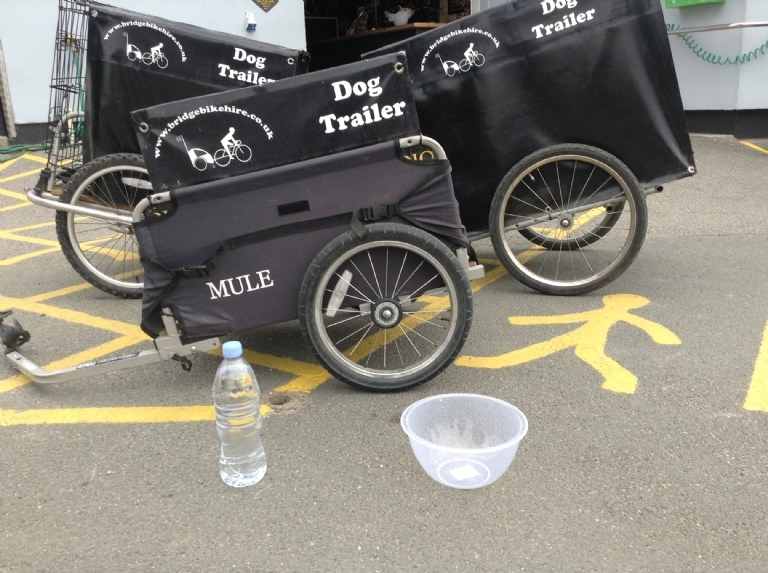 With our specially adapted dog trailers, a bottle of water and a dog bowl all dogs young and old can enjoy a day out with the family. 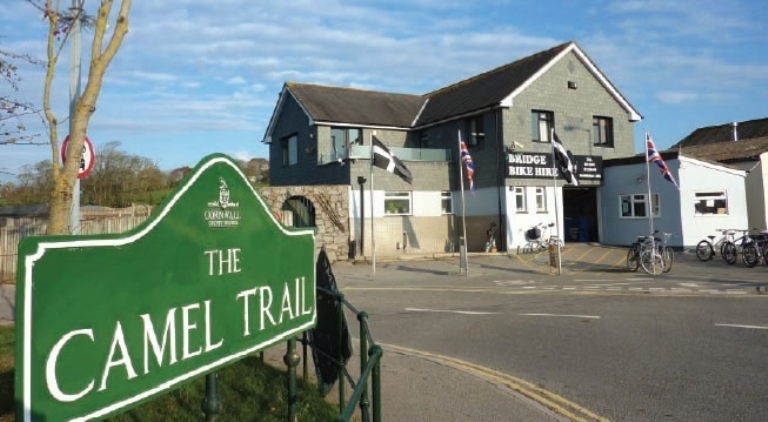 Dog are allowed on the Camel Trail however the 'Rules of the Camel Trail' written by Cornwall Council who manage the trail state that they should be kept on leads at all times. 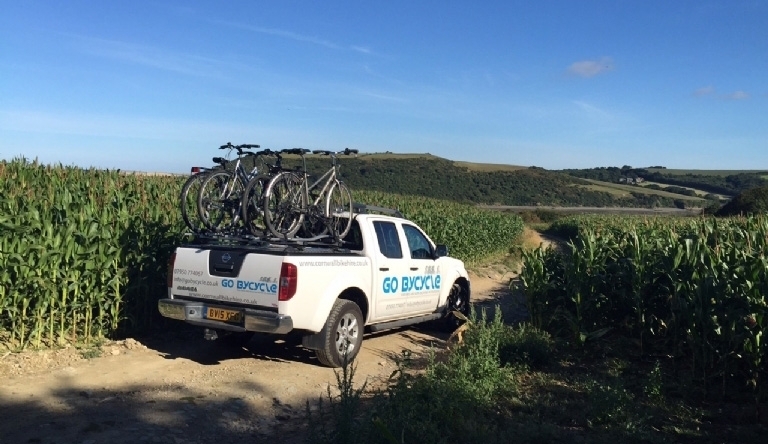 For those wanting to discover more than the Camel Trail Go ByCycle delivery high quality bikes to your door. From family bikes to steel or carbon road bikes they have everything you need to enjoy cycling in Cornwall. 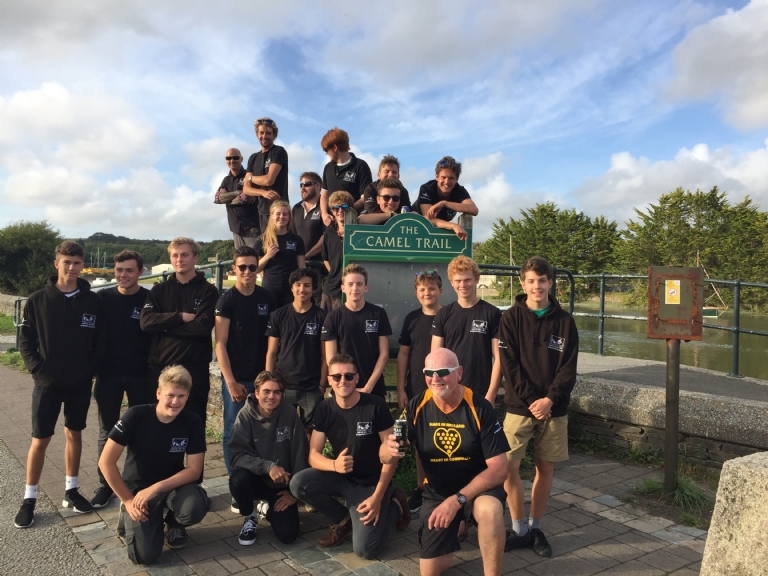 At Bridge Bike Hire we run two teams throughout the summer. We work long hours, early starts and late shifts to make sure that you are able to get the most from your hire. Find out more about who the team are and how you can join us. Pop in and see Matt or Gary and have a chat about joining the team. Training is undertaken during the winter in time for when it gets busy. 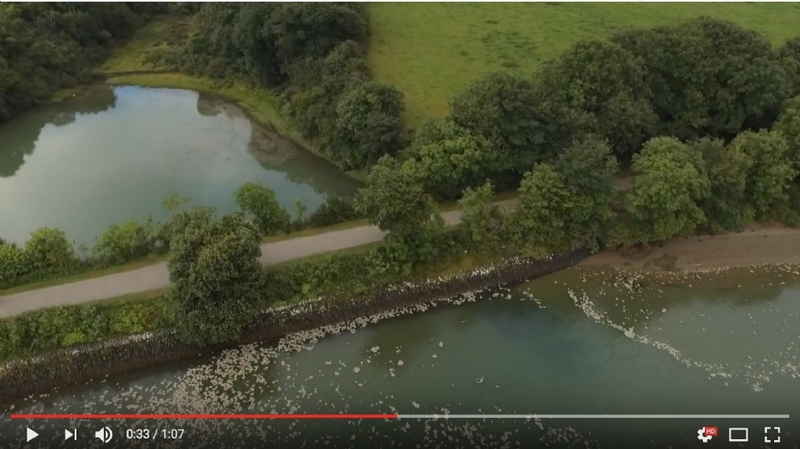 We've made a series of films about the Camel Trail, on this one we show you the first couple of miles of off road trail from Wadebridge towards Padstow.